Davao city is one of the friendliest cities in the Philippines. It is listed as one of the fastest growing cities in the world. Davao is known for its organized government, one of the safest cities to stay in, and one of the most peaceful cities in the Philippines because of the emergency 911, curfew for minors’ rules and regulations, smoke-free policy, policy of no selling alcoholic drinks beyond 2 in the morning, regular check points in key parts of the city, and monitored by 17 closed circuit television (CCTV) cameras in highlighted areas of the city. If you plan to visit Davao, try spending your whole day in People’s Park. 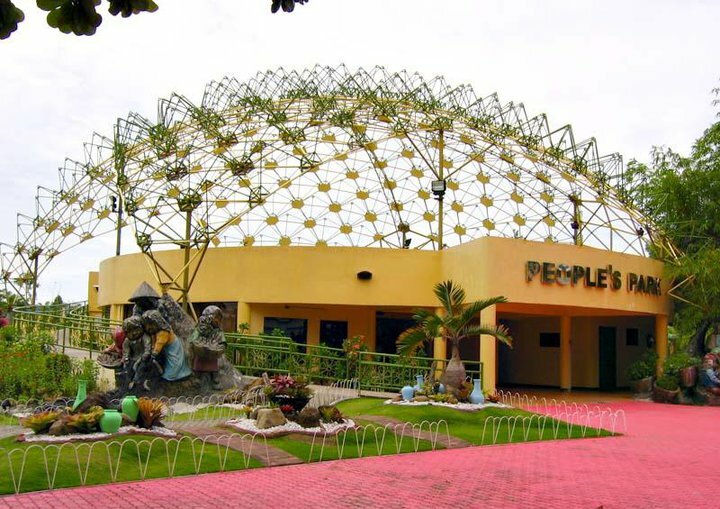 It is the famous park open for public in Davao. It is located in the heart of the city mainly in Camus Street. It was the former PTA ground which was developed by the city government and was opened for everybody. The People’s Park is the most popular recreational destination of the city which gained plenty compliments from foreigners and tourists. Basically, the park has no admission fees and is open for all from 2 in the afternoon until 11 in the evening. However, anyone can visit the park early in the morning if they wish to have their morning jogging, exercise, walking, and aerobics. Usually, there are some non-local government units who organized fun run in the park with the approval of the administration. Anyone can eat inside the park provided that they will do their own after care. Cleanliness in the park is strictly practice so be careful not to do littering inside the park or within the vicinity of the park. One may bring food and buy food from outside the park. There is no store inside the park to maintain its cleanliness. The amenities of the park include gardens, playgrounds, water features, dancing fountains, walkways, artworks and art installations of Kublai Millan that resembles the diversity of the city’s culture. In the afternoon, you can appreciate these amenities of People’s park. You can also eat lunch in the park while enjoying the scenery and the serenity of the park with soothing music playing in the whole area. In the evening, the famous dancing fountain is the most awaited by the visitors. It is a one-hour show that happens usually from 7PM-8PM during Fridays, Saturdays, and Sundays. You can bring your own food and do picnic in the middle of park and enjoy the dancing fountain show.